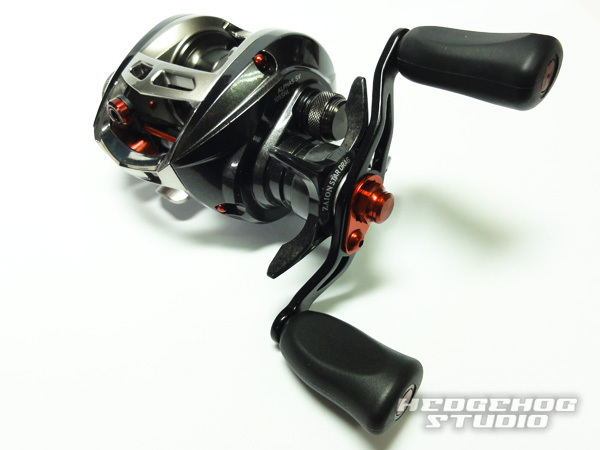 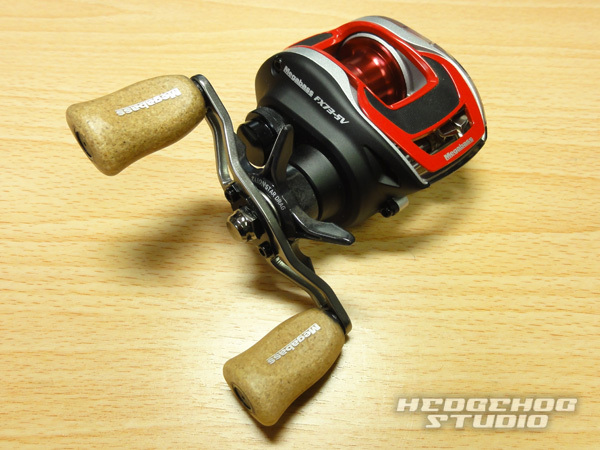 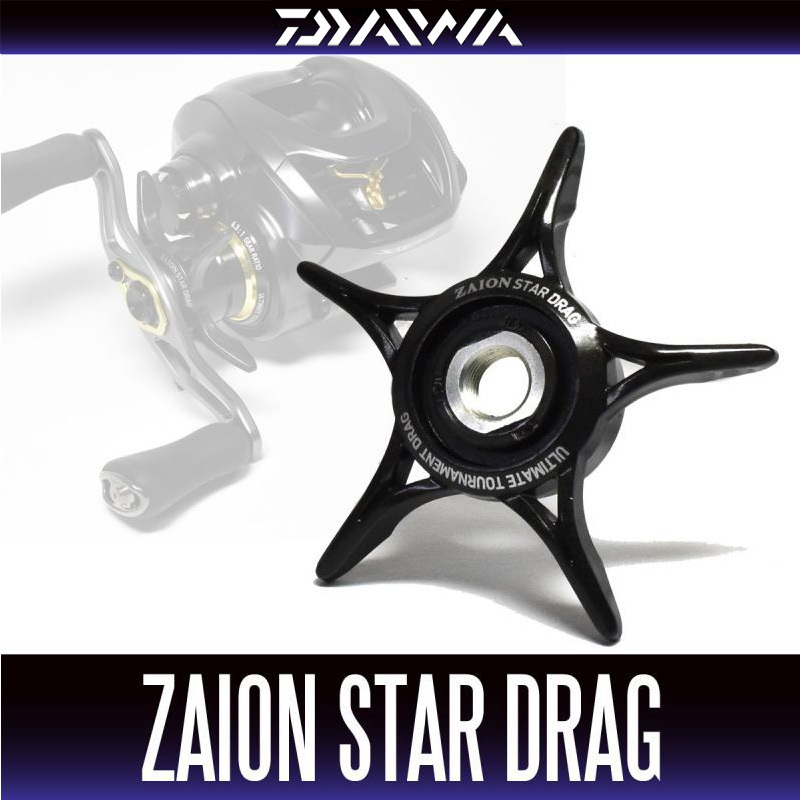 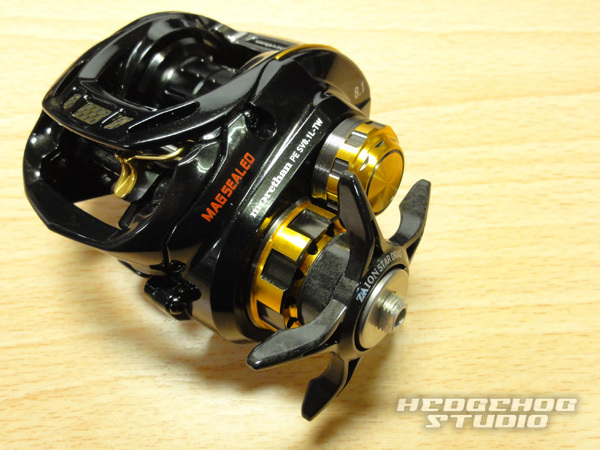 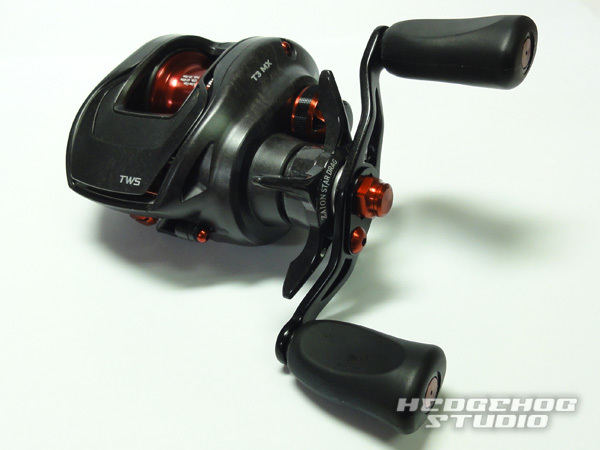 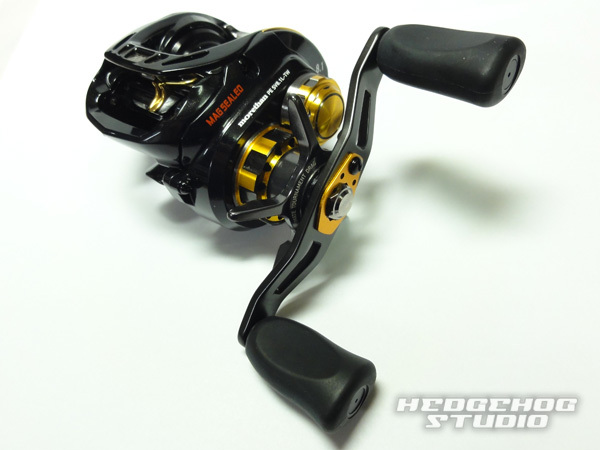 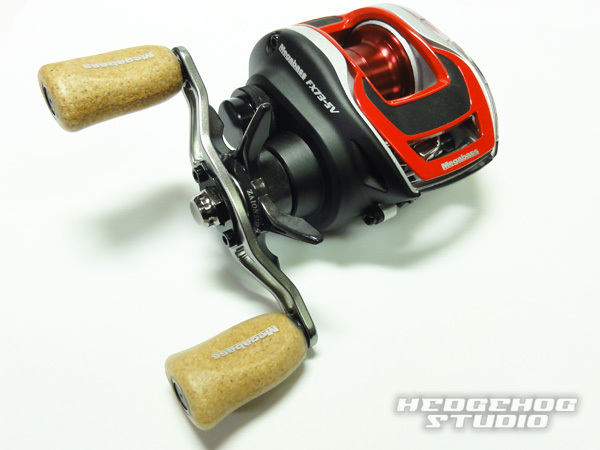 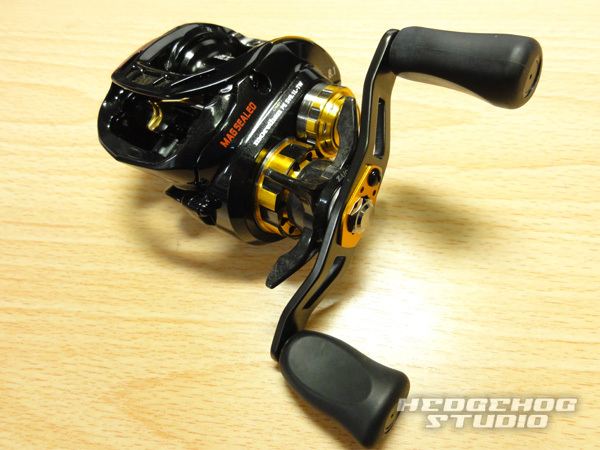 will be genuine Zion made of star drag, which is mounted on a Daiwa reel. 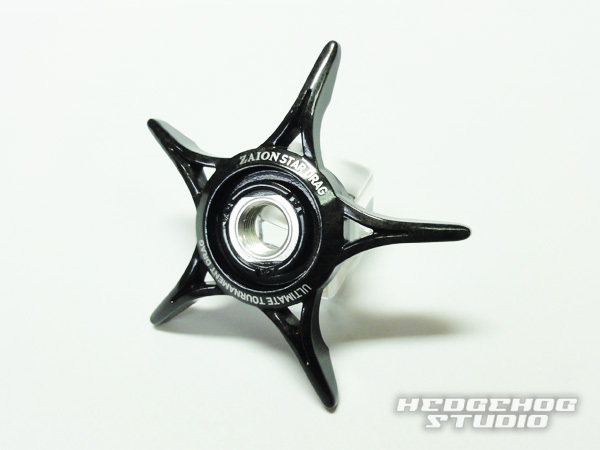 It is possible to reduce the weight by being used Zion materials, we foot than more general star drag becomes the longer design. Zion-made star drag is there is for a right-hand and left handle. 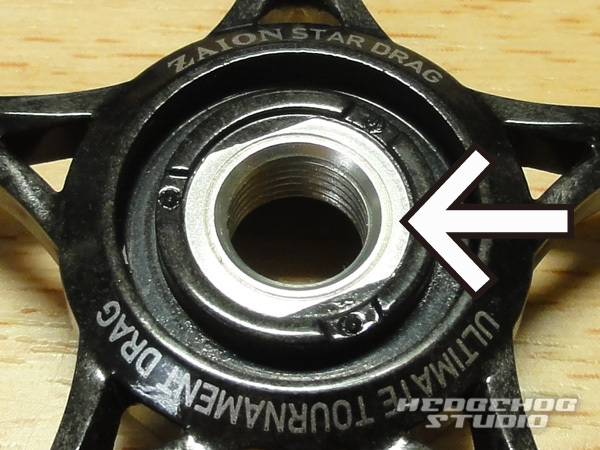 anything does not have a mark on the metal parts of the star drag the center. 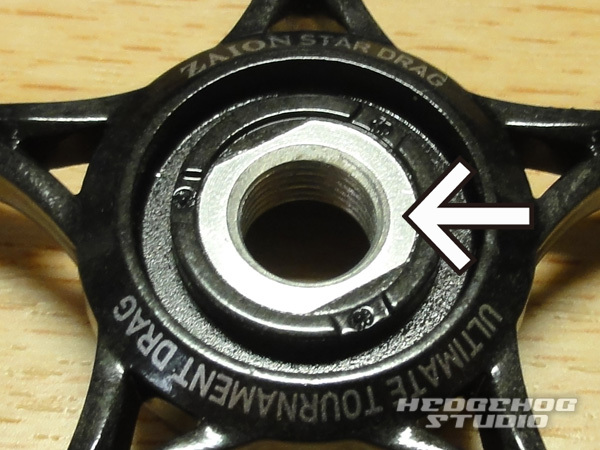 groove in a circle will have been carved in the metal parts of the star drag the center. 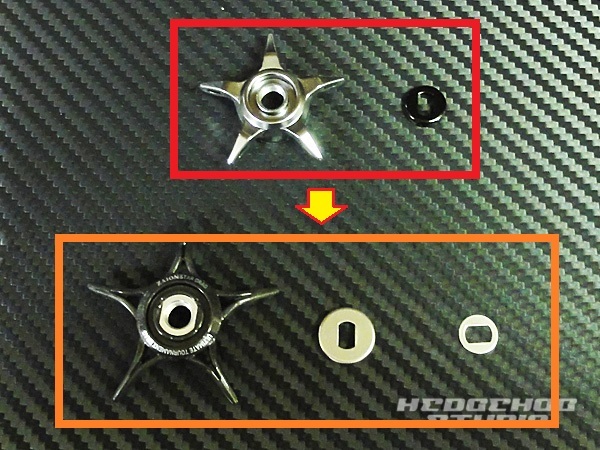 does not ring a clicking sound in the same way even if the exchange to offset star drag. 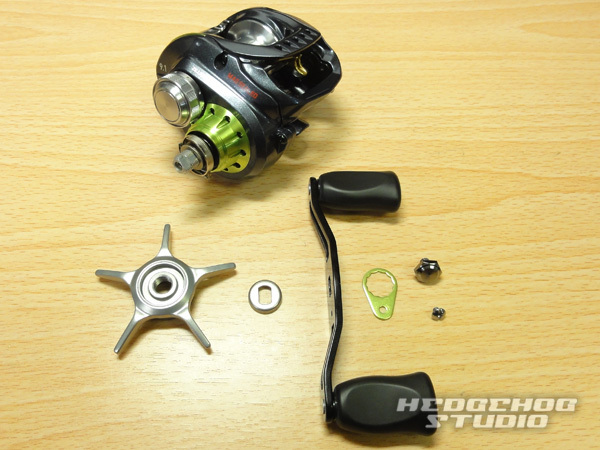 first, and then decomposed to parts site of the photo and remove the handle. 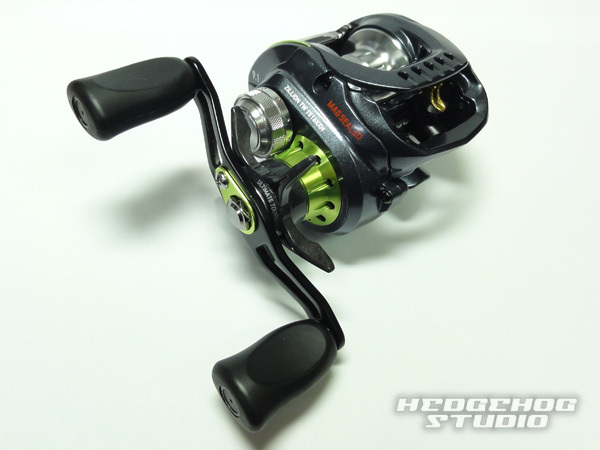 Replace the inner star drag body and the handle color of genuine parts County and goods of photos top. 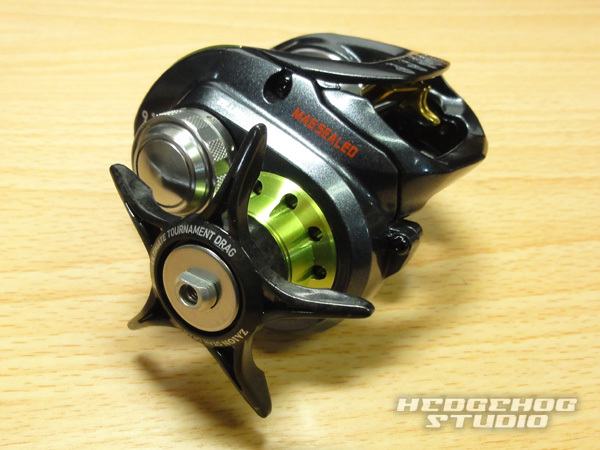 As in the photo, attach it to the reel of star drag handle color order. 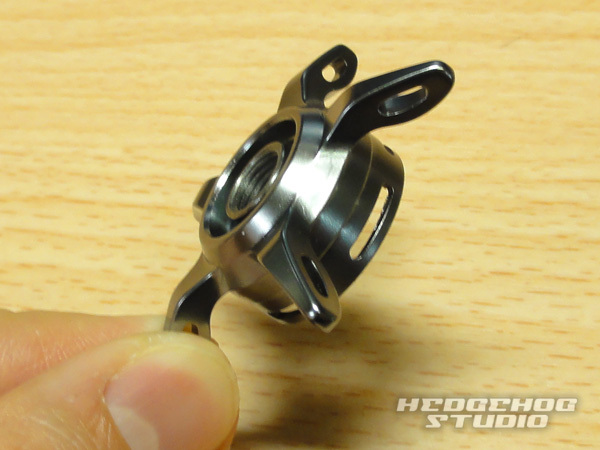 Finally, secure the handle in the handle lock bolt, it is completed by attaching the retainer. 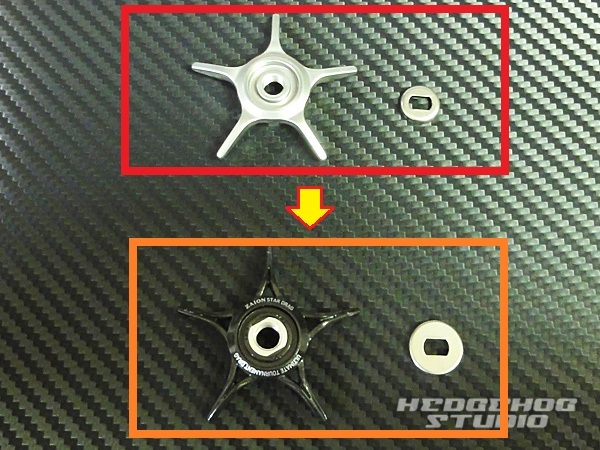 ※ After installation, If you find star drag the handle to interference, please use the supplied adjustment washer. 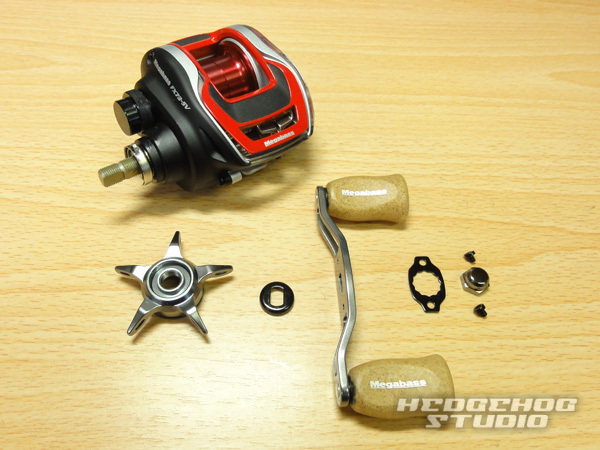 First, it breaks down to parts site of the photo and remove the handle. 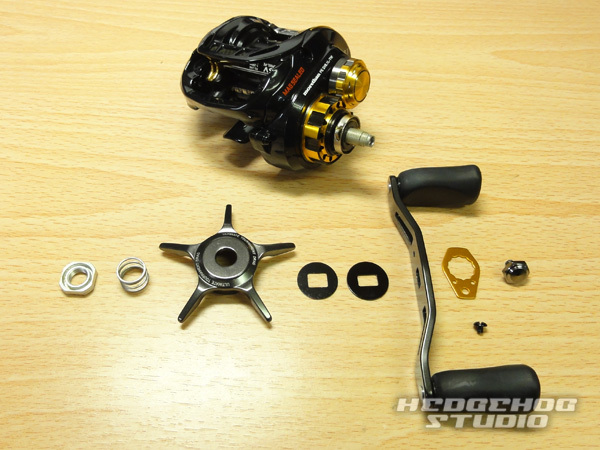 First of all, and then decomposed to parts site of the photo and remove the handle. 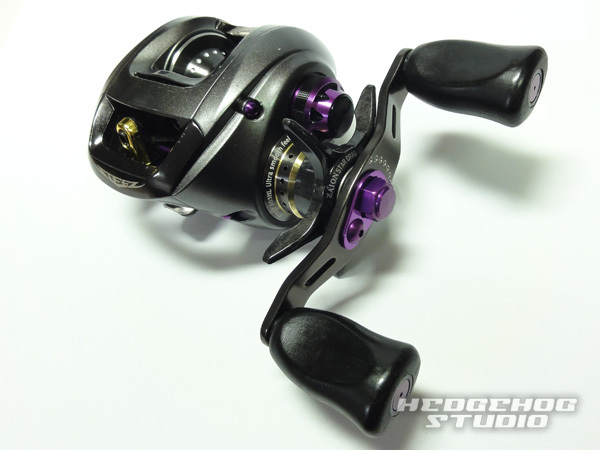 In addition to the inner star drag body and the handle color of genuine parts County and goods of photos the top, attach the adjustment washer. 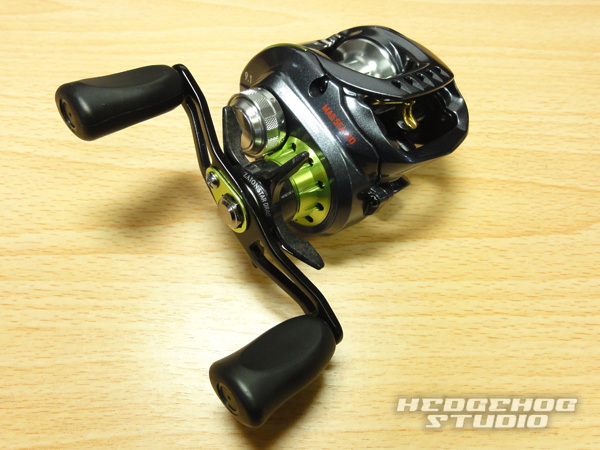 ※ The reel adjustment washer is used in the pure state, it helps you use a genuine adjustment washer as it is, still Please use the adjustment washer that comes with the case star drag interfere. 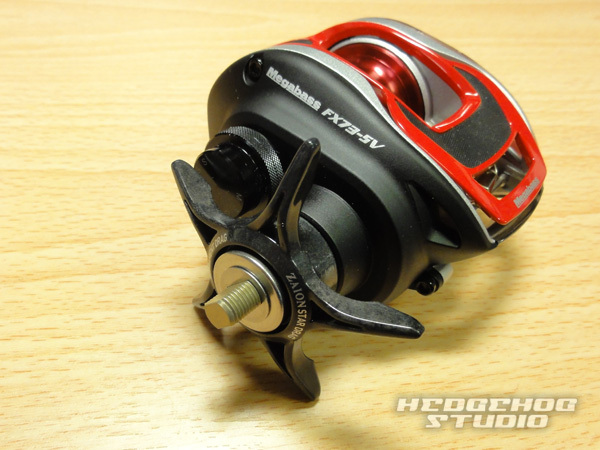 As in the photo, attach it to the reel in the order of the star drag handle color adjustment washer. 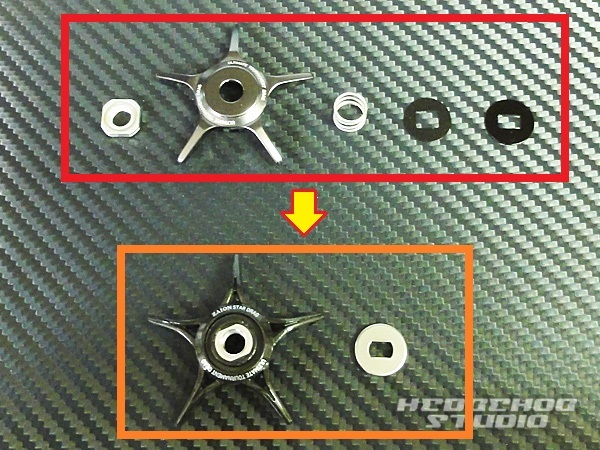 Finally, secure the handle in the handle lock bolt or nut, it is completed by attaching the retainer.